Dansk Melodi Grand Prix 2016 in Horsens in February! DR is going full speed ahead when it comes to organizing the 2016 edition of Dansk Melodi Grand Prix! After the call for songs, the Danish broadcaster has now revealed also the venue and the date where this national selection is going to be taking part. I am both proud and incredibly pleased that DR has again chosen Horsens as the host city and partner for Dansk Melodi Grand Prix, and Dansk Melodi Grand Prix Junior. I can guarantee that we will do everything to be good hosts. 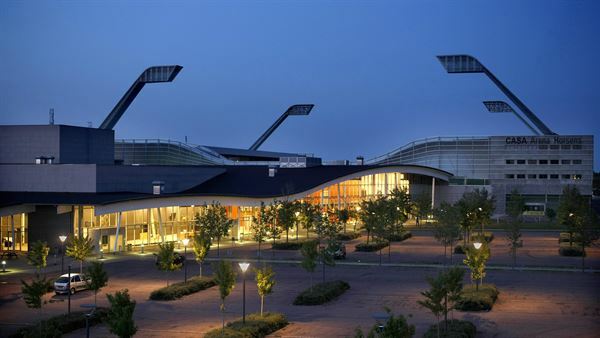 DMGP will be taking place in Forum Horsens (pictured above) on the 13th of February, in front of between 3,500 and 4,000 spectators inside the Arena. DMGP Junior will take place only a week later. The exact format of this national selection is yet to be announced. Don’t forget that you can send in your song(s) for this national selection by filling out the online form on this page (click). Send your songs in for Melodifestivalen 2016! Malta Eurovision Song Contest in January 2016!